Proof of sustainability: the Saphira Eco catalog of criteria. Our catalog of criteria contains a concise, factual representation of all Saphira Eco product groups. It highlights their relevant components and explains which criteria have led to Saphira Eco consumables being classified as suitable for green printing. 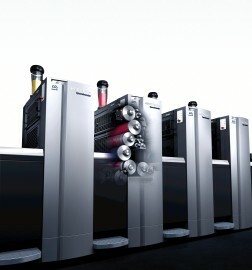 It also shows how seriously Heidelberg takes its environmental commitment and its self-declared goal of opening up promising new areas of business for customers through environmentally friendly products.